It’s that time of year: The boat is being rigged, I’m putting fresh line on my reels, I’m calling friends to see if they have any good fishing reports, in short, I’m preparing for the open water fishing season. As I prepare, I have lots of memories, mostly good, about past early season fishing adventures. My recollection of the exact dates isn’t so good, but my memories of the events are fairly cloud-free. Here we go. Clear Lake in north central Iowa doesn’t have a closed season for walleyes anymore. 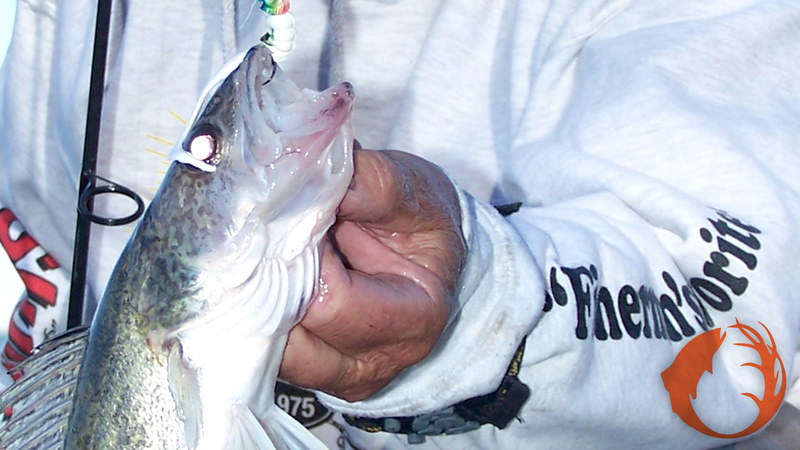 Anglers from other states like to visit Clear Lake to chase walleyes before the season in their home state opens. I think it was in the early 90’s that Clear Lake was full of smallish walleyes, lots of them in the twelve to fourteen inch range. They weren’t big, but they were plentiful and fun to catch. I hosted an annual gathering for friends in the media to get together on Clear Lake on a Saturday in mid-April. We usually had three boats with three anglers in each. We always caught fish, and we always had a good time. One year Jim McDonnell, Marty Papke, and Rick James shared a boat. Mac was a fishing guide and school teacher who lived in the Iowa Great Lakes area of northwest Iowa. Mac isn’t with us anymore. Our friend Jim McDonnell with an eater walleye from a good number of years ago. Cherish the catches, but more importantly, cherish the time you spend with family and friends. Rick was one of the pioneers in the fishing education industry. He hosted an outdoor radio show and wrote fishing articles. He lived in Willmar Minnesota. Marty lived in northern Wisconsin at the time. He guided and wrote fishing articles. Marty now lives in Michigan. All during the day, you could hear these guys laughing and landing fish. They were having a good time, and that’s what fishing is supposed to be about. At the end of the day we compared notes regarding how we caught the fish and how many we caught. We all had a lot, but they said they had caught 137 walleyes, and we believed them. Rick returned home and wrote an article about the trip. In the article, he reported catching “about 40” walleyes. I called him right away, this was before emails or texting, and asked him why he only reported 40 walleyes being caught. Rick said that he had written 137 were caught, but his editor told him that “no one would believe that three anglers could catch that many walleyes in Iowa in one day”. By the way, Clear Lake is now an outstanding fishery that still has lots of walleyes, and they’re much bigger now. I remember fishing on Opening Day of Walleye Season with the annual Governor’s Fishing Party in a snowstorm in Ely Minnesota. I remember another Governor’s Opener in Bemidji Minnesota. We hit the water at midnight, fished until four o’clock the next afternoon without a break, then loaded the boat, got in the truck and drove the eight hours home for a business function. I did that a lot “back in the day”. This is something else I remember about “back in the day”. We didn’t catch as many fish, or as many big fish, as we do right now. For the most part, we’re catching more and bigger fish, walleyes, muskies, bass, than at any time in my memory. Management of the fisheries has changed, anglers skills have improved, and our equipment is far superior. The current era is a great time for anglers for the most part. Take advantage of that in the next few weeks and months.